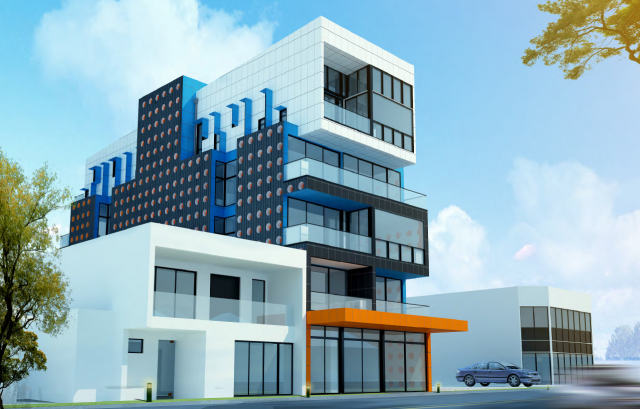 Working with designer TP Architects, Perry Town Planning successfully worked the proposal for a five-storey building in Ryan Street, Footscray through to a planning permit. The development will establish nine apartments, including a three-bedroom penthouse, and two retail spaces on the ground floor on a vacant lot within the Footscray CBD. The process included revisions to the design to resolve initial concerns of Council planners. This included the development of a visual treatment of recessed circles painting in orange in the boundary wall treatments to enhance the building’s visual interest. Through discussions through the planning process, we were able to achieve Council officer support for the proposal and Council’s unanimous approval. The proposal is a number of Footscray apartment developments currently with the City of Maribyrnong planning department.